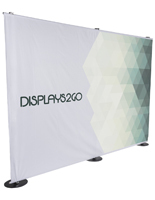 Step and repeat banners and stands are essential to a successful red carpet event or trade show booth. 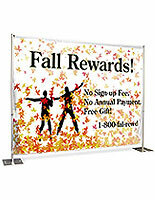 While many vendors stick with standard pipe and drape backdrops, adding these banners is a great way to gain a competitive edge. 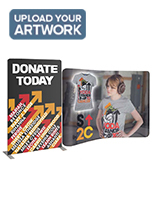 Sponsoring brands can print full scale graphics showcasing their logo, services or products on these backdrops. 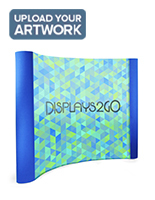 Try putting a catchy message to reinforce the voice of your brand. 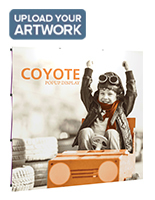 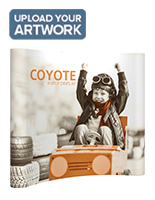 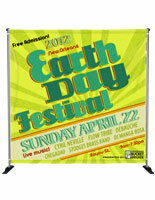 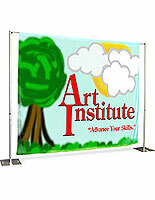 Full color, printed graphics give vendors tons of artistic freedom. 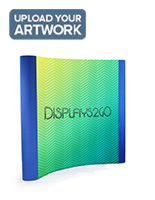 Really catch the eye of event attendees and draw them to your booth. 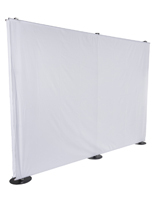 The backdrop is the heart and soul of your red carpet and the one thing visitors are sure to notice, so make sure to take advantage of this valuable real estate. 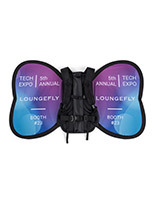 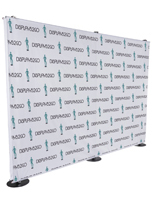 Our collection of custom step and repeat banners comes in a variety of different sizes and styles to meet the needs and size requirements of your booth. 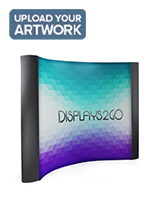 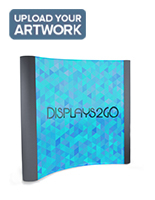 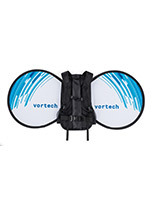 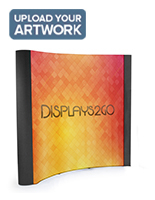 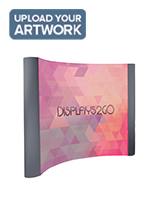 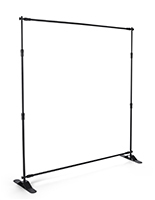 Flat backdrops are ideal for most vendors. 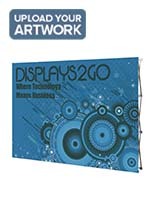 They'll cover up a large area and nicely complement pipe and drape or full graphic separators. 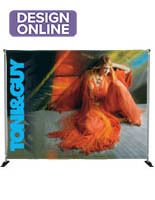 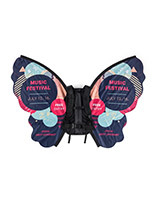 With any event, the more branding opportunities the better. 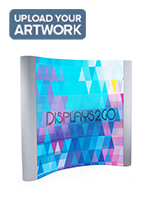 Curved banners are a little more eye-catching and can help set you apart from the competition or create the perfect photography space!